A short sale process is the dream of every sales team. It’s a great way to keep the sales funnel and the bottomline of the business healthy. A successful combination of sales tactics and an intuitive sales tracking software is key to a short sale process. Don’t you want to be a manager who is very much in control of your sales process? The more steps you have in your sales process, the more time it takes to close a deal. 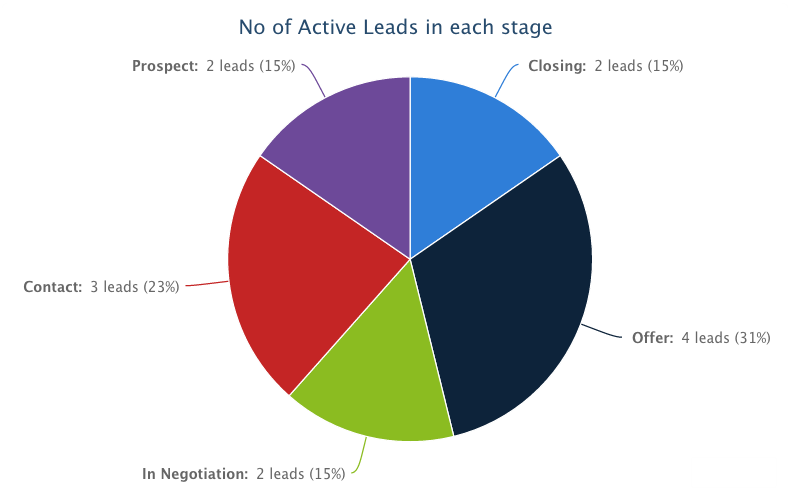 Our sales software offers a unique sales dashboard to see all the sales pipeline stages in a single glance. All you need to do is keep a close eye to figure your where your sales pipeline encounters a bottleneck and trim down the sales process. Does your current lead management software offer an easy way to capture and retrieve lead information? To make a sale process short, it helps to have as much information about the lead as possible. It’s exactly why our CRM system lets you add as many custom fields as you need to each lead. Never miss a detail about a deal anymore! Do you know who prefers a short sale process than the seller? Your customers. People love businesses that have a short sale process for buyers! This way, they could stop haggling and get back to handling their own business. 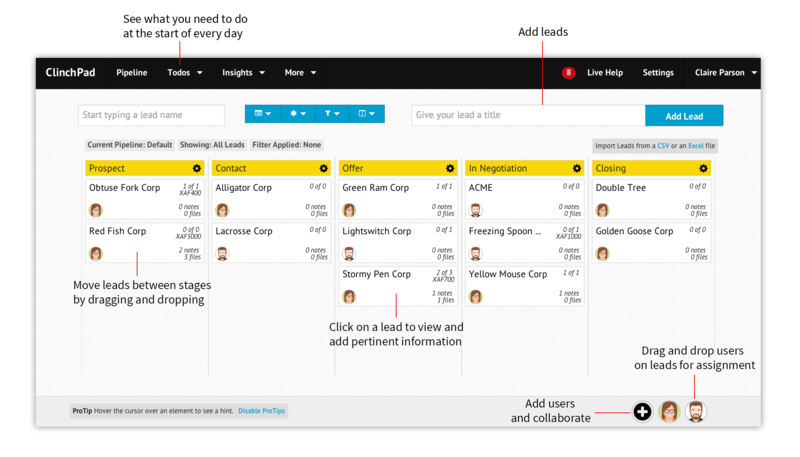 As a manager, keep an eye on all the sales pipeline stages at once to ensure that leads aren’t left hanging mid way. Integrate your email inbox to our lead tracking software and keep your communication lines open with your prospects. When there are no communication gaps, the end result is a delightful one - a short sale process for seller and the buyer! 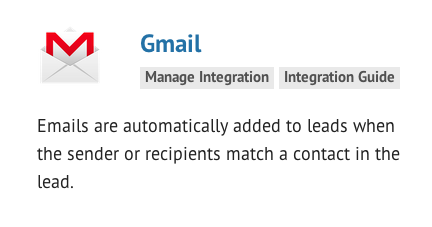 Did we mention that ClinchPad plays nicely with Gmail as well?